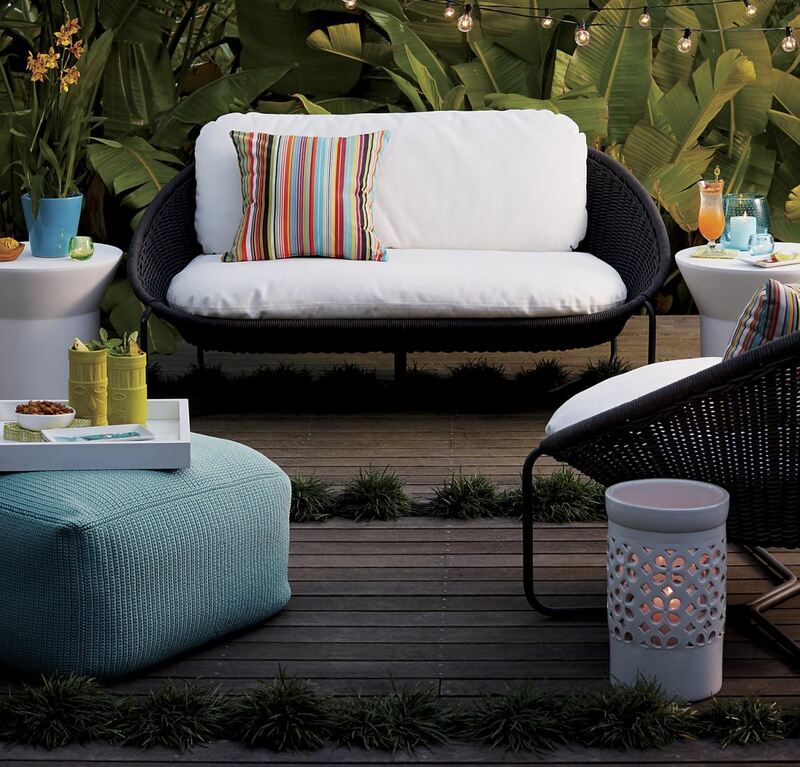 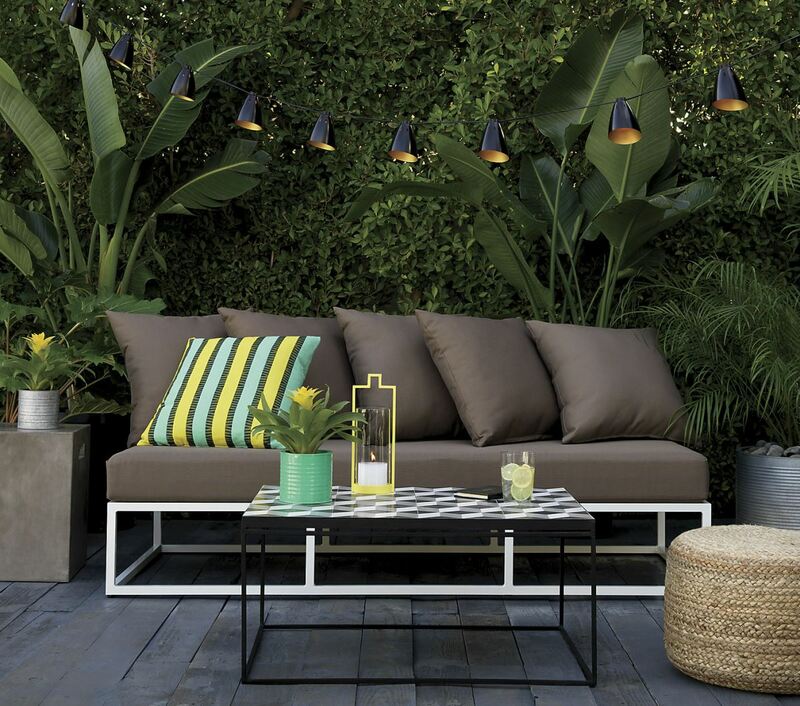 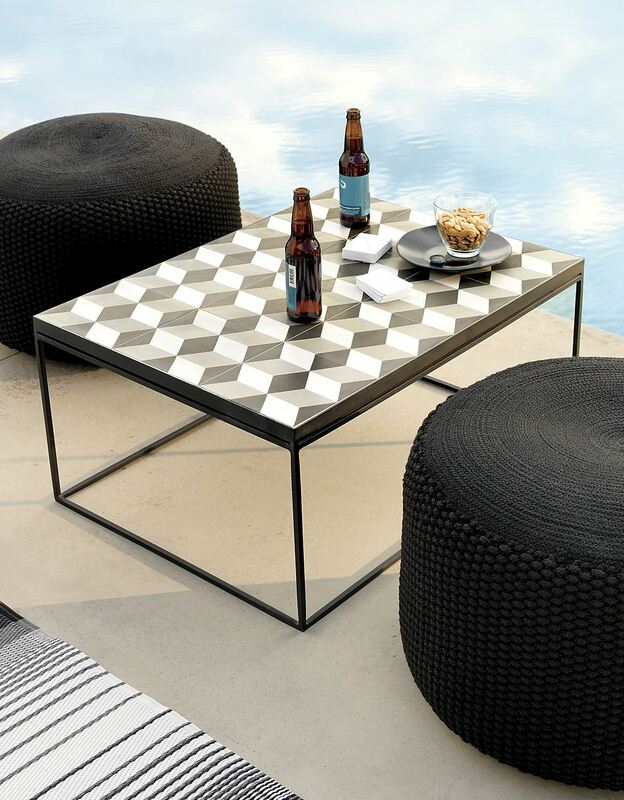 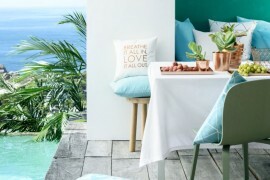 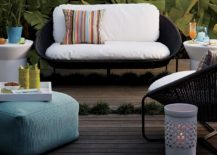 Poufs have the power to add an earthy element to your outdoor space, which is perfect for the current tropical style trend that shows no sign of diminishing. 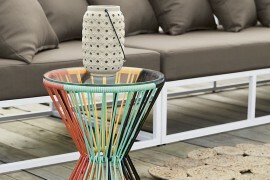 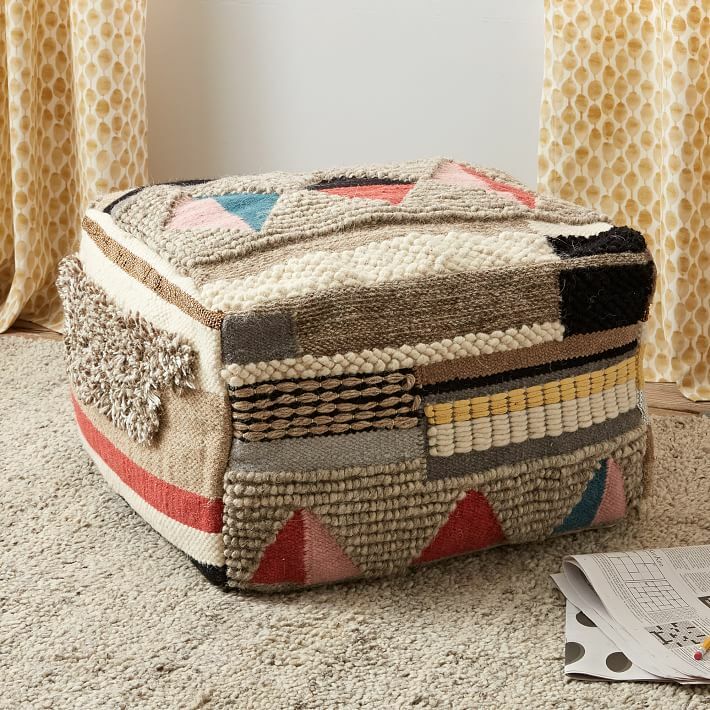 This Braided Hemp Pouf can be used as seating or as an extra side table! 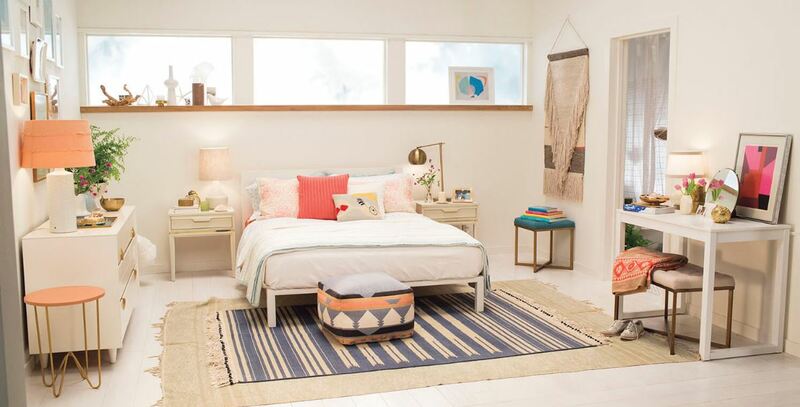 In a room styled Emily Henderson (and featuring items from Target), we see a patterned pouf at the foot of the bed. 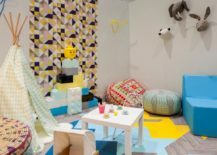 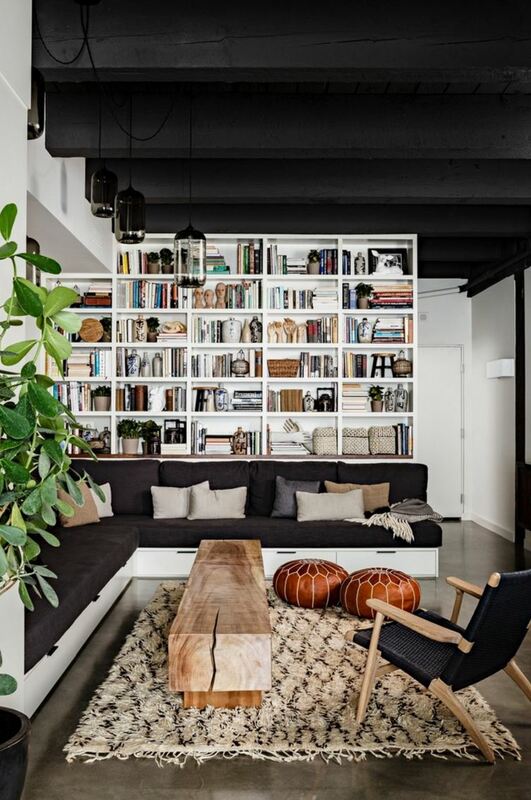 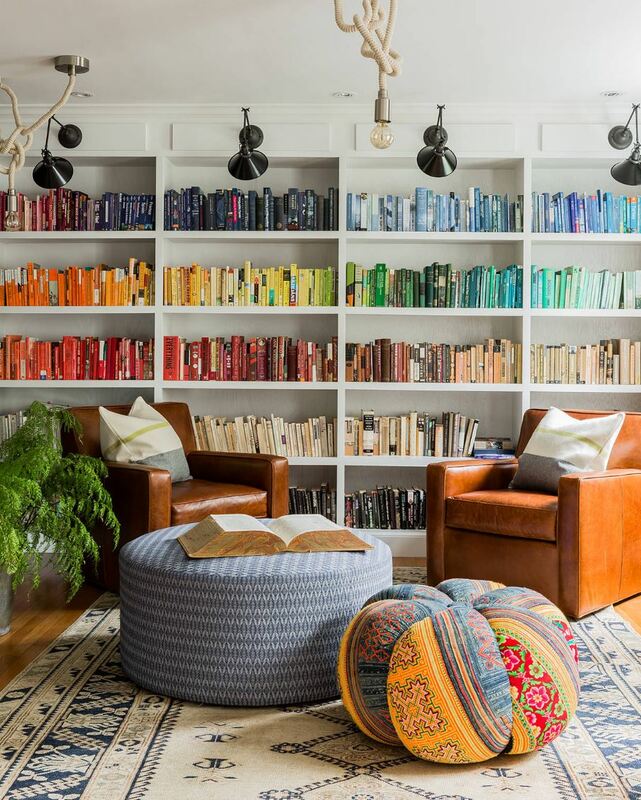 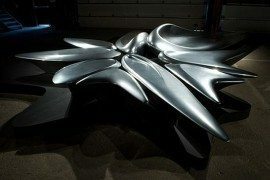 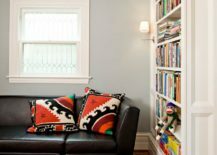 It adds a lot to the space without overwhelming it and provides a place to rest a robe, or to sit while putting on shoes for the day. 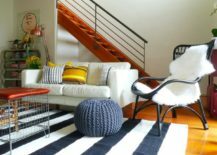 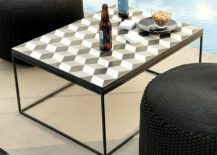 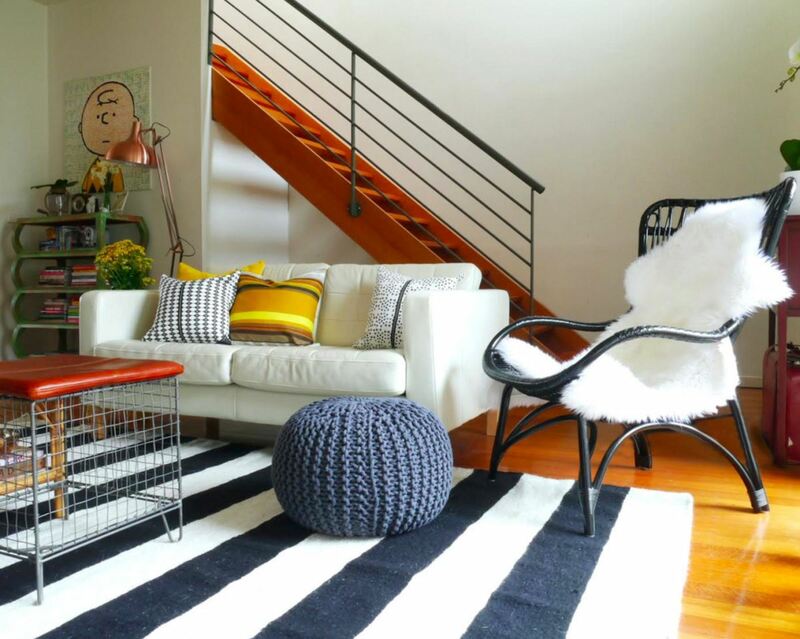 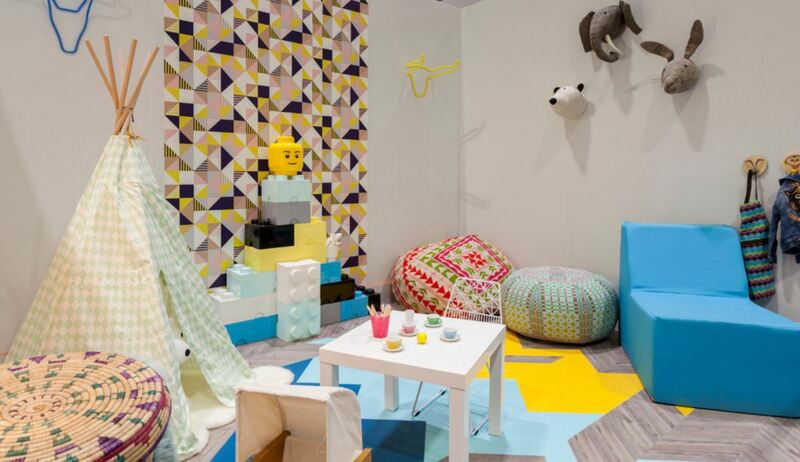 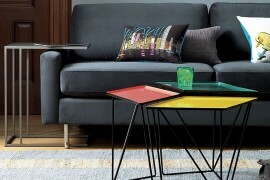 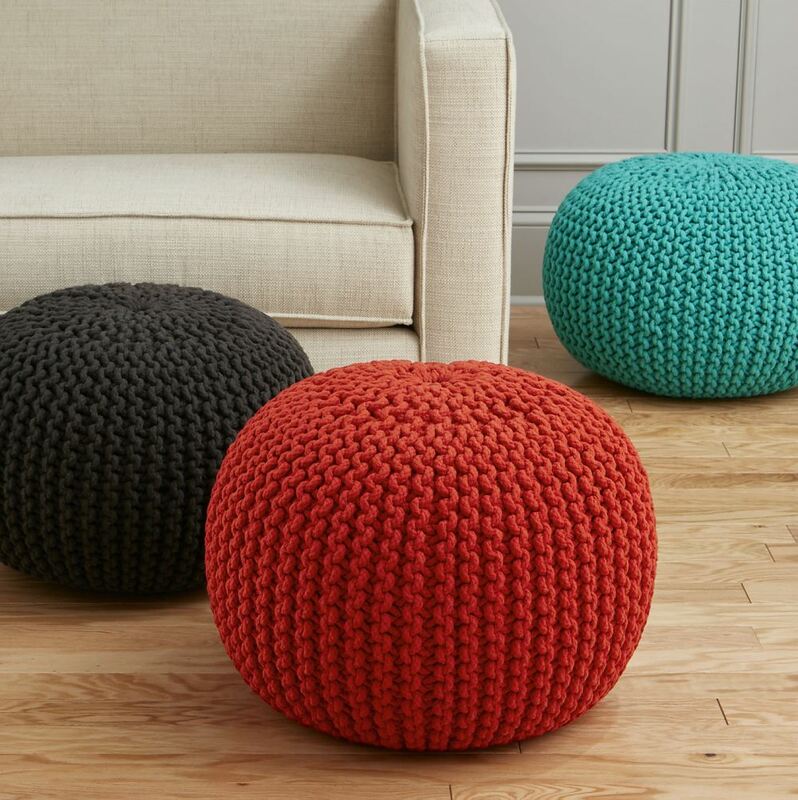 Since poufs are smaller than your sofa, they’re the perfect way to introduce bold pattern into your home. 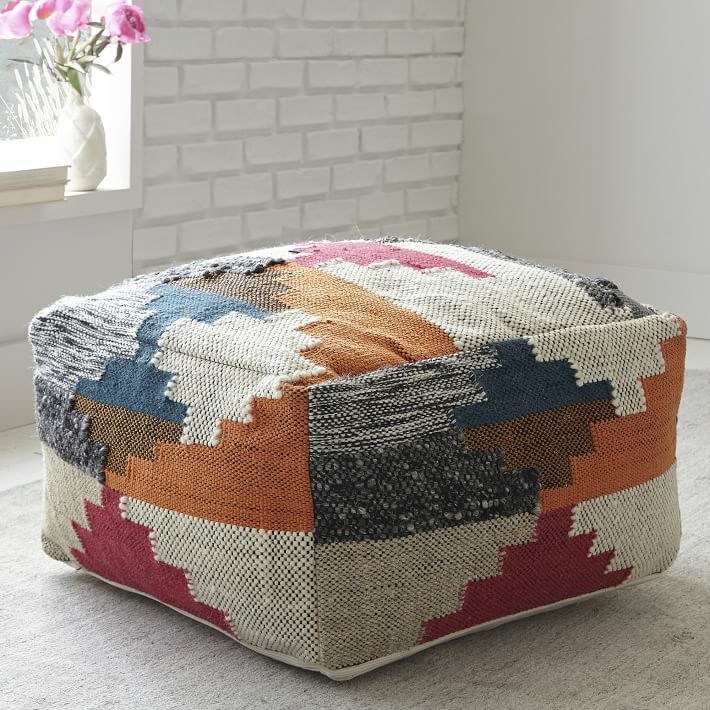 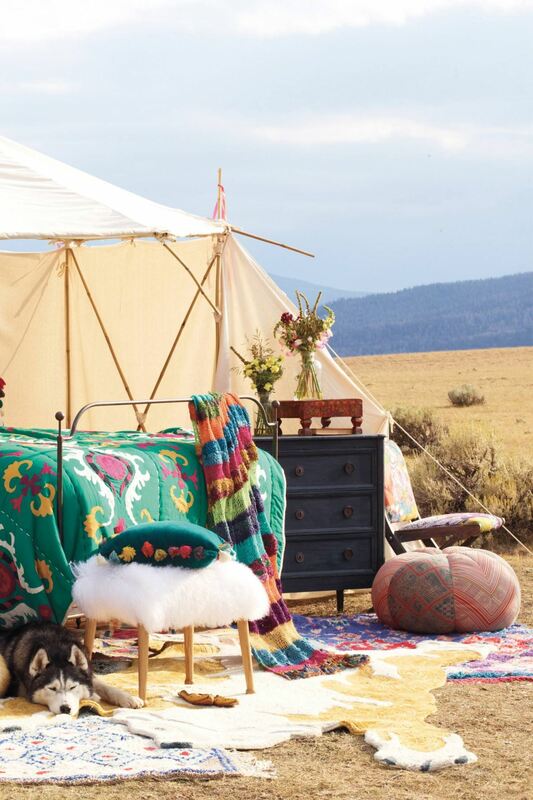 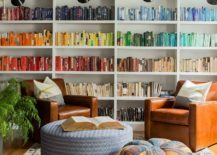 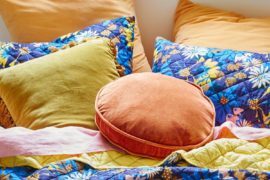 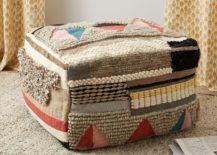 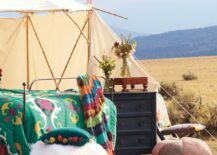 For example, you may not be brave enough to purchase a couch featuring the design on this Boho Wool Pouf from West Elm, but in small doses, isn’t it divine?! 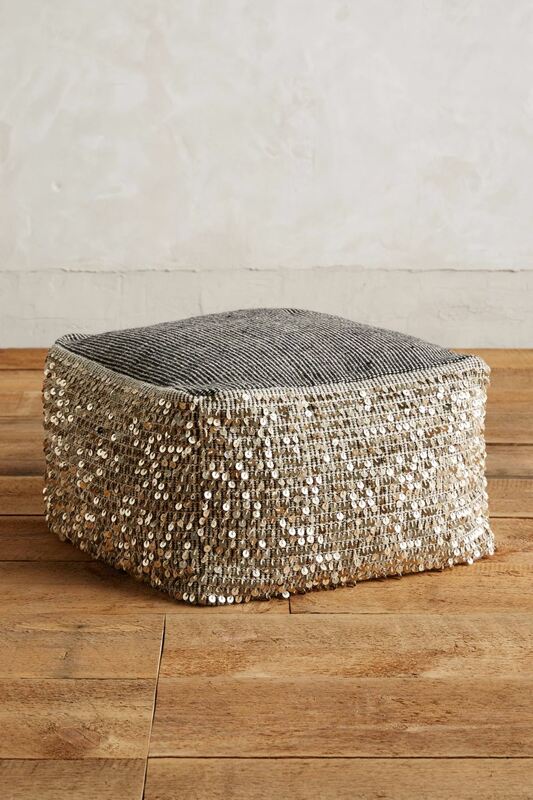 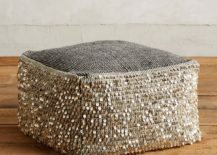 And check out the metallic fringe on this Paillette Pouf, also from Anthropologie. 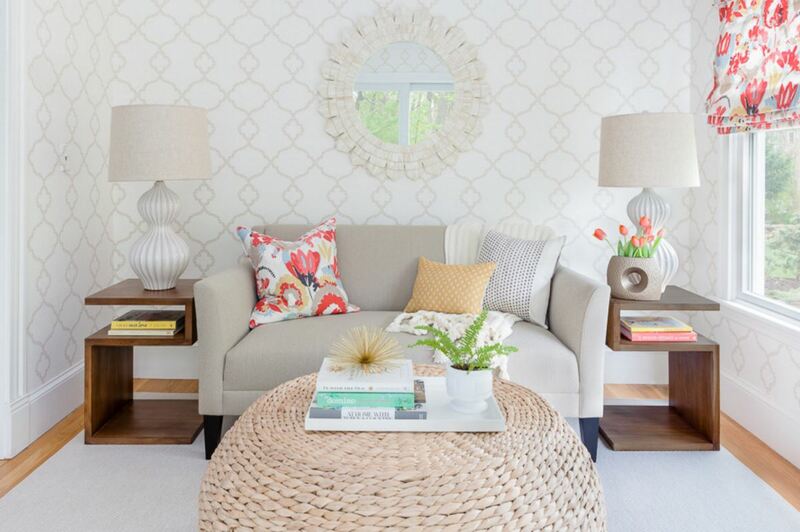 Shimmer and texture are an unbeatable combination, don’t you think?! 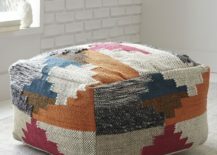 Last but not least, we’re loving the textural potential of poufs. 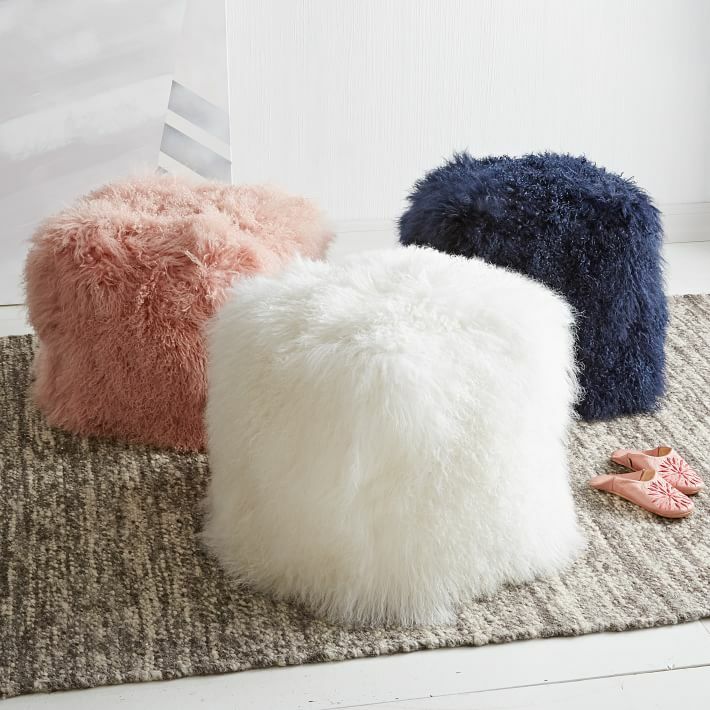 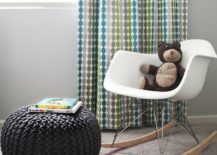 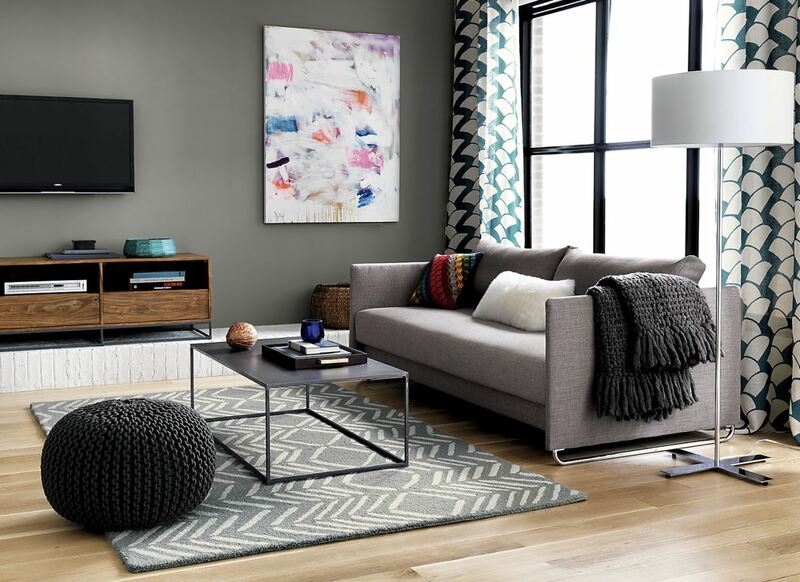 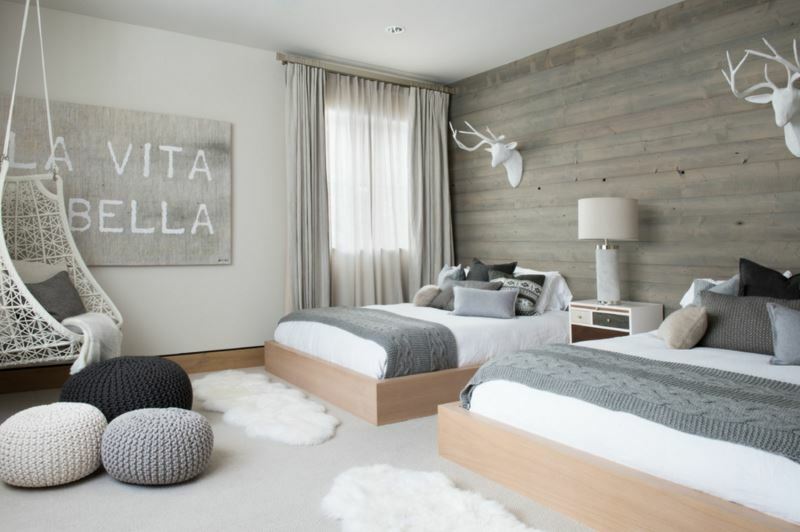 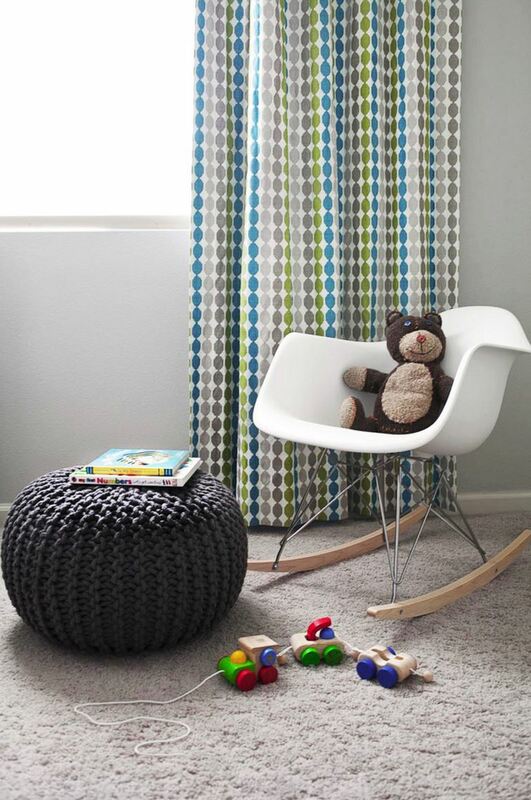 If your space needs a hint of cozy, furry style, you can add a shaggy accent to the mix. 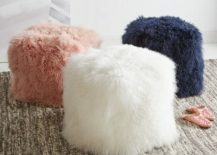 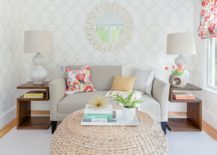 These Mongolian Lamb Poufs from West Elm are a popular choice, and there are a range of faux options out there as well.